With the intro to social networking websites, we have come closer to our closed ones. No need to travel long distances. No need to incur any cost on travelling. Just sign up and there you go! But there were some constraints. You needed an internet connection and a computer. Although, everyone has this and home users mostly buy these services only to get in touch with their loved ones. But what if you’re on the move? What if your computer isn’t working? And what if you can’t grab your devices to places? Here comes the drawback. Now you have to make calls or text and these incur some costs. Don’t you worry, like always technology never stopped evolving! And experts are still working to make our lives, more comforting. Now we use smart phones. And for smartphones, we’ve now Applications for Social Networking Sites. Now we’re always connected to our loved ones. No worries to carry laptops or tablets. Just our smart phones are enough to log in. Below are some of the common and widely used applications for social networking. Get to learn about them and know the value of these applications for social networking. Founded by two ex-employees of Yahoo!, Jan Koum and Brian Acton, started working on this instant messaging application. They initially launched WhatsApp in 2009. It is free to use, lets the users to send and receive text, voice messages, audio and clips and pictures as well. If you’ve a smartphone, you can’t resist without WhatsApp. In February 2014, Facebook acquired this great social networking application for US$19 billion. Founded in 2012, Vine is a free video sharing application. Not just sharing, you can also edit, import and interact with other Vine users. What words can’t say, videos will say it loud. It’s also a must-have application for social networking. The Vine is the property of Twitter. Initially launched in 2010, Instagram is a photo and video sharing application. It also creates a social networking platform. Instagram lets the users share these on different social networking sites like Facebook, Twitter, Tumblr and Flickr. Instagram is developed by Facebook, Inc.
Any news you want, you’ll find it on Twitter. This is one of the widely used and populated the social networking site. And with the intro to its applications, one can easily tweet and re-tweet this social networking site. The founders of Twitter include: Evan Williams, Noah Glass, Jack Dorsey, Biz Stone. And was founded in 2006. Founded in 2003, LinkedIn has now become the largest professional networking site, with over 300 million users. You need a job, you sign up here. You’re a recruiter, you post here. You’re an entrepreneur, you advertise here. And you’re an influence, you write here. With so much information and so much to share, I believe this is the best social networking site, one can land to get into the best opportunities of all time. And with the intro to LinkedIn’s application, it gets easier to show your presence. With a combination of other applications, LinkedIn has now more power than ever. Another web and mobile application, Pinterest allow the users to discover, share, collect and store all that visually attractive items to one’s personal pinboard and the pinboard speaks your language. I used to think that Pinterest is just a photo/image sharing application. But as I went through it, I learned how more it offers. Founder of Pinterest is: Paul Sciarra, Evan Sharp, and Ben Silbermann. Finally, we have come to the top most populated social networking website. No longer is Facebook being used by users to interact with their loved ones, but it is a platform to bring the world closer. Many businesses are using Facebook vastly as a free source of marketing. And with the intro to its application, it is easier than ever before to share, interact and do all the stuff we use on our computers. Did you see the power of social networking sites? Even if you can’t own a social networking site, you can at least have an application for social networking sites. This is one of the best means to introduce yourself to the big world out there and a great opportunity to make huge bucks out of your application. So why wait? 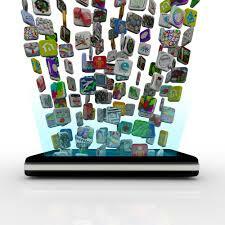 Why not ask a web application development company to help you build a new application for social networking sites!